There are two different minerals which are called Jade; these are Nephrite and Jadeite. Jadeite is the rarer and more sought after mineral, particularly when it is translucent. Nephrite comes in a variety of greens, yellow, reds, black and soapy white. 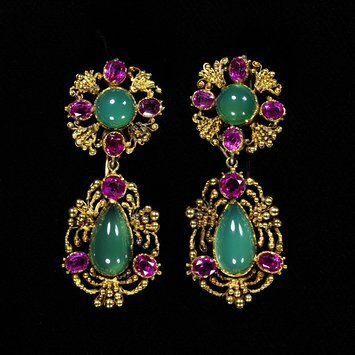 Jadeite has more color variations and can be blue, lavender, black, mauve, pink, white, grey and green in colour. Both Nephrite and Jadeite are remarkably hard and tough materials. 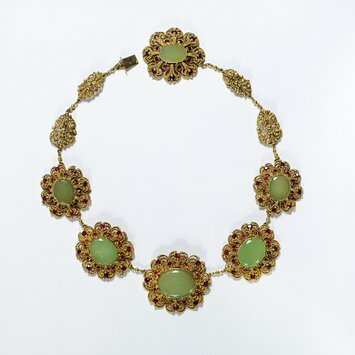 Emerald green (also called ‘Imperial Jade’) is considered by many in the West to be the most desirable color; in the East, white or fine yellow with a delicate pink undertone are generally the most sought after colors. 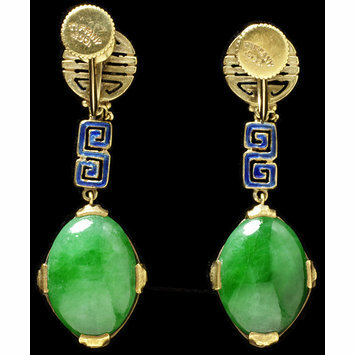 Earrings, gold, jade, chrysoprases and rubies. Type A – refers to jade has not been treated in any way apart from waxing. Type B treatment involves using chemical bleaches and/or acids and impregnating jade with a clear polymer resin. This results in more transparency and colour. Infrared spectroscopy is the most accurate test for the detection of polymer in jade. Type C jade has been artificially stained or dyed. Can be a dull brown and translucency is usually lost. B+C jade has been both impregnated and stained. There are a variety of tests to verify the authenticity of jade, as well as the type and the grade. 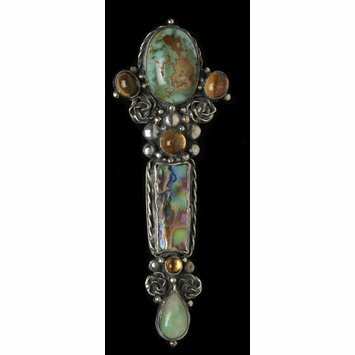 Evaluating jade is a fine art that many specialists devote themselves to so I’m not going to attempt to go into this too deeply; I have put links at the bottom if you would like to look further into this. As a rule of thumb though, the more translucent and strong and even the color is, the higher the value of the jade is likely to be. 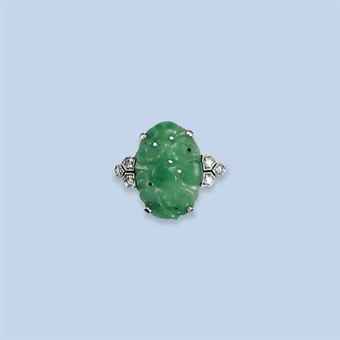 One quick test for real jade is to hold it up to the light: real jade will have fine, tendril like inclusions. Of course, the very highest quality jade of all is like glass and won’t have any visible inclusions at all. An Art Deco Jade and Diamond Ring. 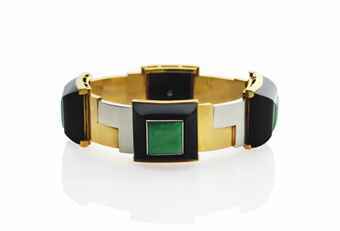 Another rule of thumb, when evaluating a simple jade bangle, is to note whether or not is is rounded or flat edged; if it is flat edged, it is unlikely to be from prior to 1950, if it is rounded, it is more likely to be old, although not necessarily so. 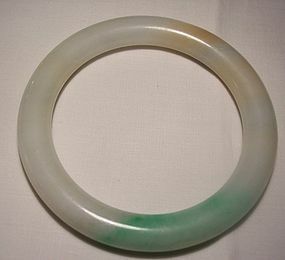 Flat-edged jade bangle, probably contemporary. Rounded jadeite jade bangle from the 19th Century. 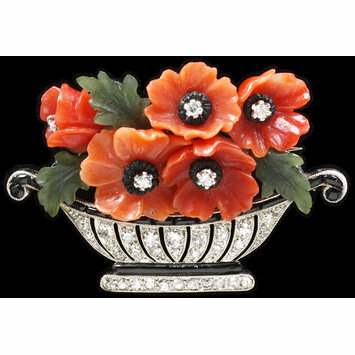 Rounded bangles are not necessarily antique. Image from ‘Trocadero – The Incurable Collector’.